"From the Victorian Era to modern day, these 10 suits have defined elegant men’s style"
Since the early 19th Century suiting has served as the ultimate masculine expression of sophistication. While the overall aesthetic has remained the same, the suiting styles have changed through the ages. Influenced by royalty, rockstars, literature and feature films, menswear has evolved to reflect the moods of the ages, its excesses and its complications. From the Victorian Era to modern day, these 10 suits have defined elegant men’s style. In 19th-Century Scotland, Prince of Wales check was developed as a textile in the Glenurquhart Valley. 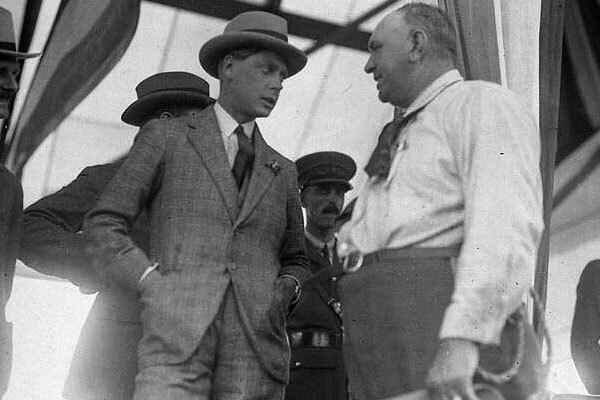 Commonly referred to as glen plaid, the sharp suiting pattern took on a new moniker after Prince of Wales, Edward VIII adopted the look for most of his tailored suits. 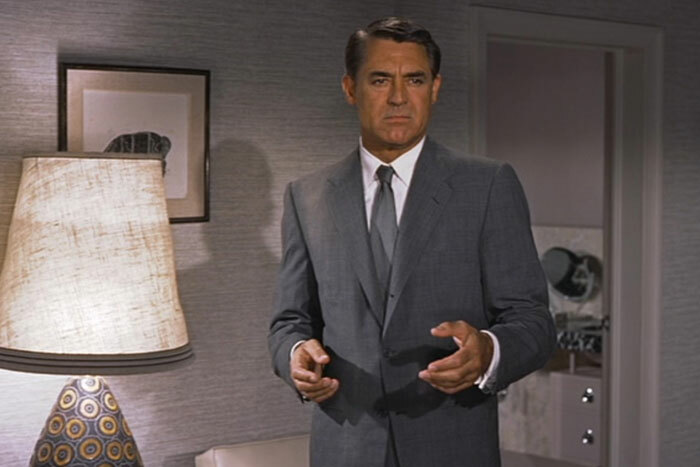 This 1959 Hitchcock film helped solidify Cary Grant as a Hollywood superstar. However, it also grabbed attention for its stellar suiting. Grant’s medium grey glen check suit was specially crafted by the same tailors who dressed the Duke of Windsor. In the 1960s, Italian designers exerted heavy influence over men’s suiting. 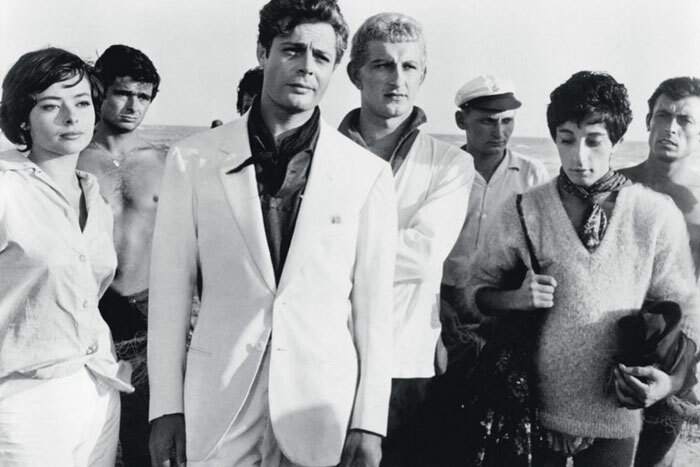 Actor, Marcello Mastroianni became a cultural icon in La Dolce Vita with his slim-cut blazers and trousers. This was made-to-measure tailoring at its finest. Steve McQueen turned to Savile Row tailor, Doug Hayward for memorable three-piece suits. With clean lines, expert tailoring and vivid accessory pairings, Thomas Crown became a men’s style icon. There were several key looks throughout this film that served as an accurate time capsule of 1970s men’s fashion. However, it was Richard Gere’s flashy Armani suits that had the biggest impact on men’s style history. The film adaptation of F. Scott Fitzgerald’s classic story paid homage to 1920s men’s style. With the help of Ralph Lauren, Robert Redford flawlessly sported wide-legged trousers and intricately styled three-piece suits. His white suit is the image most closely associated with the 1974 movie. The 80s were all about excess and no film defined that more than Wall Street. Michael Douglas’ Gordon Gekko was the epitome of power dressing. His white-collared shirts and classic pinstripe suiting are somewhat dated today, though, in the 80s they were the ultimate symbols of power and status. Pulp Fiction will be remembered for Quentin Tarantino’s masterful direction, Samuel L. Jackson’s hilarious one-liners, Bruce Willis’ comeback; but John Travolta’s simple black linen suit and cowboy tie that call to mind the movie’s distinct style. More than the intricate plot, Pulp Fiction will always be remembered for this peculiar style risk. 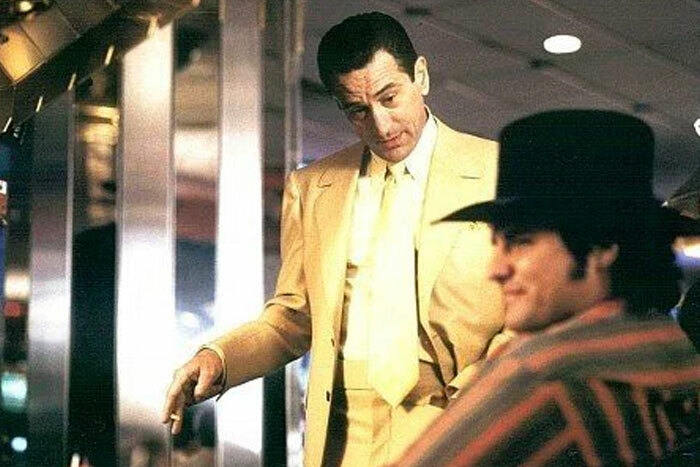 Robert DeNiro wore a reported 45 different suits throughout Casino. Each one was characterized by bold colors and patterns. His character was over the top, but always stylish. His plaid yellow sport coat with matching yellow pocket square went down in style history. Daniel Craig helped propel James Bond to record new heights. While all his Bond looks have been killer, his £2300 Tom Ford dinner suit in this instalment was epic: sleek, tailored and ultra-masculine.